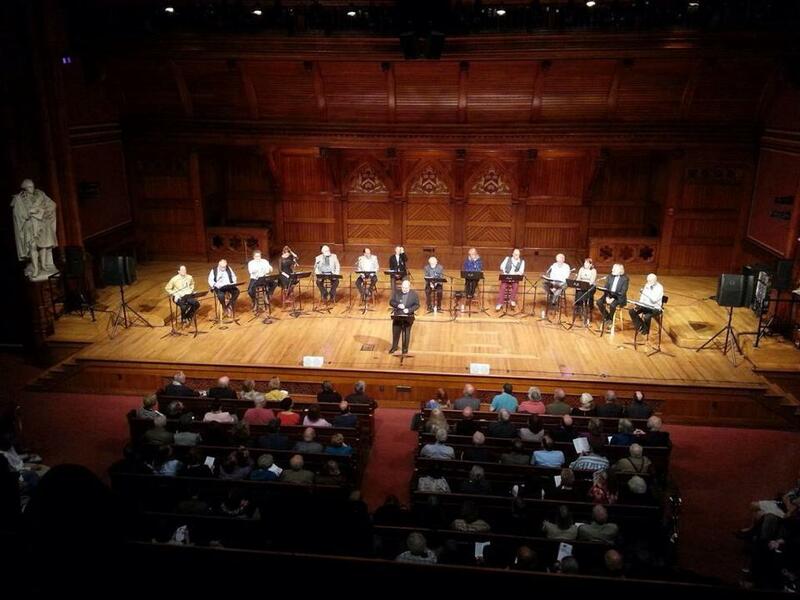 Photo courtesy of Artsboston; photo was grabbed from the Poet’s Theatre FB page. A picture of the cast at the reading with Mr. Scanlan in the front. A celebration in honor of the revival of The Poet’s Theatre and the centennial of the Author’s birth.